We welcome your reconfirmation as CEO of PIF 2019. The success of the last edition was clear and in the sign of the “new”. Your impressions? What are the news about the 2019 regulation? As mentioned above, I did the bulk of the regulation last year and in this edition I will only prepare small optimizations. The 2018 has returned a great interest towards the World section that has had many members for only 2 categories; for this reason I added the categories student12 & student15 years old, standardizing them to the sections: Classical and Virtuoso. All the very young musicians, of any musical genre, will have the opportunity to participate in the prestigious PIF of Castelfidardo. 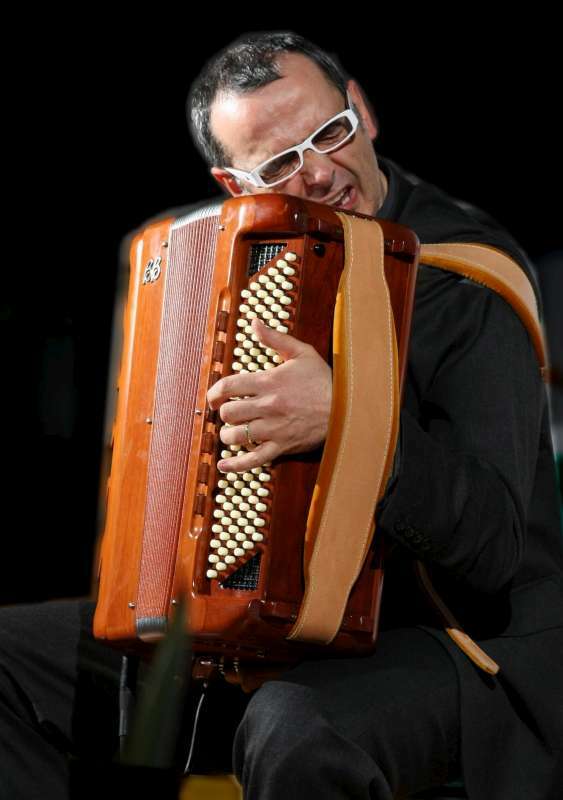 We are also witnessing a renewed interest in the application of electronics in the accordion. The greatest accordion player of all time has been Gervasio Marcosignori and I dedicated an electronic accordion category to him. Compared to the past, I have included all the systems possible today: VIRTUAL (without voices), MIDI (acoustic with applied electronics) and ELECTRICAL accordions (with digital multi-effects). As for the Classical accordion, listening to the valuable advice of great masters, I have optimized the MASTER category and expanded the CLASSIC COMPOSITION category which also includes the participation of the Symphony Orchestra. I know we will have less subscribers than last year (in the last edition there were so many … 19 compositions for Classical Accordion and String Orchestra) by virtue of the difficulty of writing, but this area is still little explored and the PIF has the “duty “to promote it, bearing in mind that the song will be studied, played in Premiere by the best concert artists of the future … and that they will also win a substantial scholarship. Tell us about the annual theme: “ONCE UPON A TIME …” the accordion and the world of fairy tales”. The annual theme shifts attention towards a goal: “The new generations”. I am a father and I have noticed that the today’s youth have less prejudices for the accordion than those of my generation. They don’t know it, but look atit with curiosity. 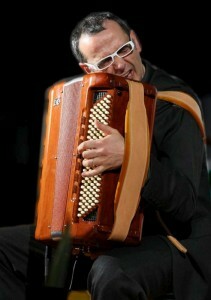 The “theme” therefore wants to involve and focus the interest on the accordion, using “the imagination”. Bringing the accordion to primary schools is the next step and for this reason we will organize an INTERNATIONAL DRAWING COMPETITION on the theme of fairy tales which must include at least one image of the accordion. A first selection will reduce the designs to 25/50, which will then be publicly voted on our official pages. 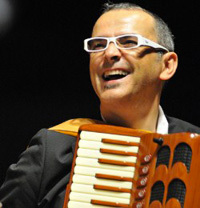 The winner will receive an accordion made in Castelfidardo. Even the composers are called to be inspired by the theme, just as the performers will be asked to dedicate something to them. You said you worked on the coordination of the events of the festival, do you talk about it? Castelfidardo is a small town and cannot allocate all the funds necessary for a festival of this magnitude. Everyone is pressing for people to come, everyone is calling for big events, everyone is recommending and everyone is criticizing: in short, “Everyone wants everything”. My strategy is to give a logic to things in order to create connections between the various events and I believe this can satisfy the great majority of users. Last year we had a huge help from companies that were very generous and allowed us to create quality events at low costs. The morning and afternoon part of the festival, however, continues, in my opinion, to need coordination. I have in mind to create fixed and coordinated appointments with what happens before and after, so as to leave visitors the opportunity to organize themselves in the best possible way and, why not, to stay in Castelfidardo for all the days of the festival. The PIF is mainly a competition and therefore the auditions will take place at any time of the day. At the same time, in the morning, we will have important “Workshop” thanks to the great personalities present and, later, the “Concerti Aperitivo”. In the afternoon I would like to take advantage of the OPEN FESTIVAL formula with a minimum token of presence, in practice all national and international artists have the opportunity to present nominations to be protagonists at PIF 2019. At the moment I can confirm the organization of the evenings: Wednesday “Open Ceremony” in the square, Thursday Memories (dedicated to Gervasio Marcosignori), Friday Jazz at the Astra, Saturday World music with more guests in the square, Sunday symphony orchestra for the final of the Award category and gala concert. Closing in piazza della Repubblica. Do you want to point out something special? Actually, this year I have expanded the PIF TALK & PLAY formula to give, to those who want it, the possibility of “having a say” with short musical interventions or spoken about the world of the accordion. From the presentation of a CD, a book, a video, a technical or musical innovation. Given the serious lack of adequate facilities, probably the most important category will be done directly at the Astra theatre and we will work to organize “group” visits to companies in order to maximise time and reception. Apparently few, in reality these innovations will require a big job that I hope to complete to the best. The second year generally never succeeds like the first, but I hope to reach a 70-80%. I finally feel like publicly thanking Mayor Roberto Ascani and Councilor Ruben Cittadini who support me and show a commendable passion and commitment, I also thank the whole team that with seriousness and competence guarantees a correct course of the event.